Let Beaumont Inn bed and breakfast serve as your lodging headquarters while exploring the world’s longest yard sale. The US 127 Corridor Yard Sale started in 1987. It begins at Covington, Kentucky, and runs South through Harrodsburg to Chattanooga, TN, then switches to the Lookout Mountain Parkway, continuing to Gadsden, AL – for a total of 690 miles! The “The World’s Longest Yard Sale” is very popular, and visitors from several foreign countries have attended. The original intent of the sale was to prove the back roads have something to offer, and that the interstate system was not the only mode for travel. County officials put together a list of attractions along the route in Kentucky and Tennessee. There are over three hundred attractions along the route to provide enjoyment for the family. Whether it be majestic hills, beautiful scenery, river boats, railroads, toe tapping music, arts, crafts, horses, fishing, hiking, bits of Civil War or Indian History, there are many opportunities to enjoy the beauty and culture of the land along the 127 Sale Route. Thousands of people participate in the sale each year as vendors. A front lawn may be turned into a showcase as items are displayed. Off road parking is essential, and many of the homes have this space. Visitors should honor requests of “No Parking” or “No Trespassing” posted by families not participating in the sale–cars can leave deep tire ruts on a soft lawn. People come from near and far to view this spectacular event. Folks come from all across the country by car, truck, motor home or plane. Some fly in, rent a car, travel the route and ship the newfound treasures back home. Many visitors plan their vacations around the sale event, with some traveling the entire 450 miles. Others may opt to spend their time in a selected area, and venture off the beaten path to discover the history and charm of the land. 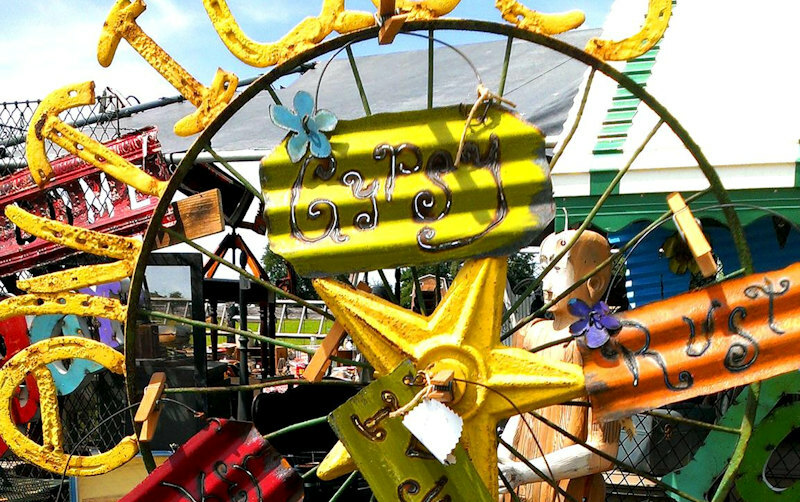 For more information regarding the annual Hwy 127 Corridor Yard Sale, visit their web site at www.127sale.com.